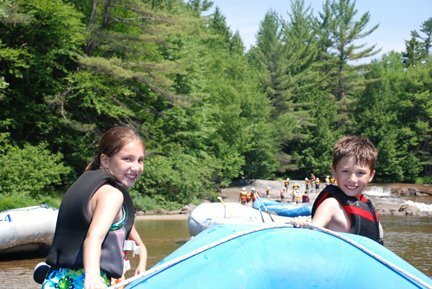 If it’s your first time white water rafting or you’re thinking you just want to stay in the raft, then our full-day, soft adventure trip on the West Branch of the Penobscot River is the ideal guided trip for those interested in an introductory whitewater excursion. 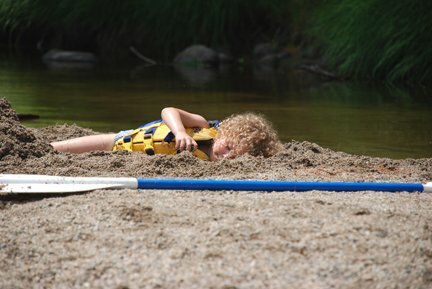 This is a relaxing and flexible river experience. 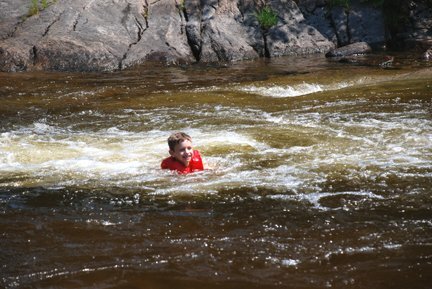 Guests will enjoy some of the less intense, low-key rapids on the West Branch as well as time to “play” on the river. 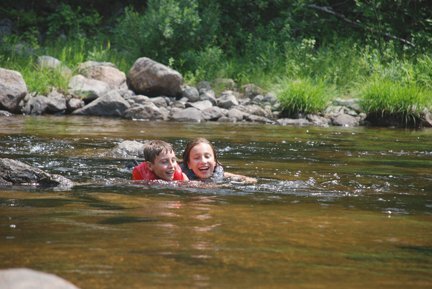 This may include “surfing,” climbing under waterfalls, swimming, playing in a natural water slide, or just sitting back and enjoying the magnificent scenery and Maine wildlife. Trip includes lunch. 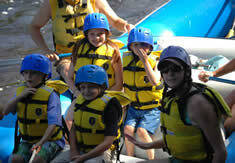 This is the perfect white water rafting trip for ages 4 to 104! 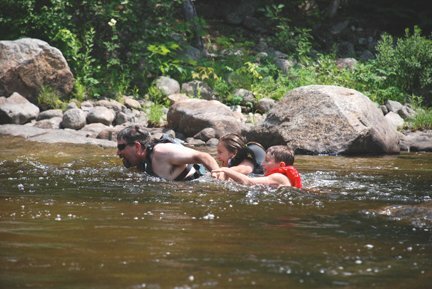 As part of our commitment to family adventure, the New England Outdoor Center has specially designed this river trip for visitors who want to be on the water but aren’t ready to take on the rapids. 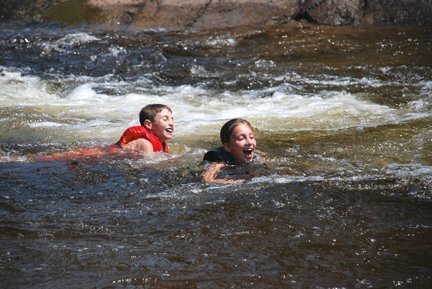 It is an introduction to the beauty and wilderness of the Penobscot River as well as a playful excursion for the whole family. 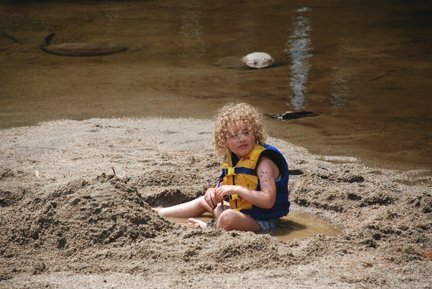 Guests will spend the day on the river, swimming, floating, paddling and playing. 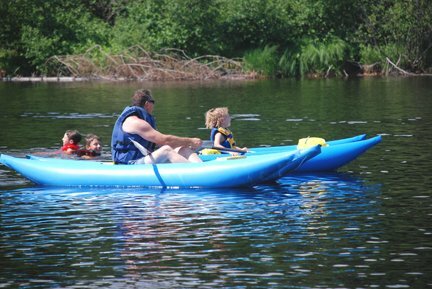 We can even show you how to use our individual inflatable kayaks as we travel together from below Nesowadnehunk Falls to Abol Bridge. 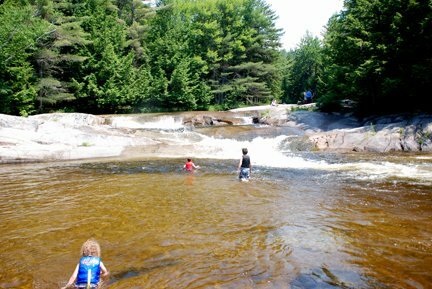 Along the way, we will visit natural waterslide, take a short hike, and learn about the river’s ecological and cultural history. We will provide a riverside lunch so you can leave your worries behind and just enjoy the scenery, wildlife and each other. 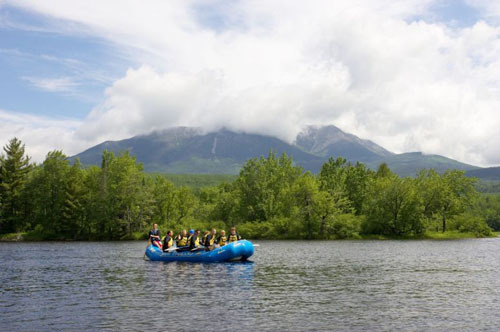 The personal attention from our family friendly Maine guides will ensure an unforgettable, safe rafting experience that everyone, of all abilities and ages will enjoy. 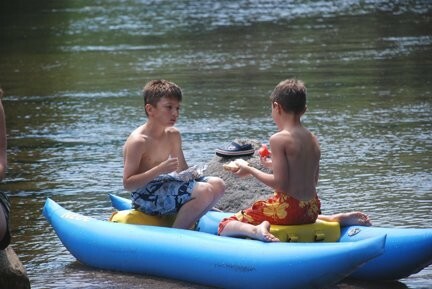 Note: Photos and video may not be included in these soft adventure and float trip packages, but can be added through prior arrangement. It is a wonderful way to remember your trip and share the excitement with friends and family.